Conflicts represented by dreams are almost invariably current issues in the dreamer’s life. But they might also have been an issue for a long time. It means that they are unresolved and are still affecting the dreamer, sometimes many years after they initially sounded the alarm about a discordant problem. In such situations, they often manifest as recurring dreams. This week, I’ll examine a recurring dream that fits into this category. The dreamer, who is approaching retirement age, first had her repeating dream when she was a small girl. It has reappeared sporadically throughout her entire life, most recently just a few weeks ago. In my dream I’m a girl—maybe 7 or 8-years-old, and I’m walking up to the front door of a house. I have to climb up three steps to get to the front door, which has a screen door as well as a regular door. I walk into the house--which is not my house. I’m in a hall. On my left there is a wall that runs the length of the hall. But my right is open to a room where there are a lot of people gathered attending some kind of party. I don’t greet anyone, which seems odd to me, but instead, I walk the length of the hall, which is also the length of the house. I open the back door. It leads to the backyard. I step out onto steps—this time only two instead of three steps—and immediately fall into a swimming pool which butts right up against the house. Some of the party guests are in the backyard, and they are shocked to see me fall in. In my dream classes, which is where this dream was told, I have attendees write the dream down as it is being related. Because the dreamer is usually talking fluently, it doesn’t give the rest of the class much time, and class members typically scribble hurriedly. The result is frequently a kind of shorthand, with only the most important words written down. Those words are also usually the principal symbols in the dream, so in an odd way, class members have done themselves a favor by having to rush. What follows is what one of these dictated shorthand pages would typically look like. 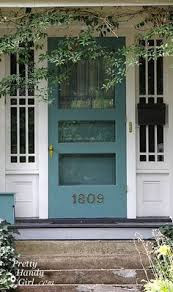 Girl—7 or 8; front door with screen; three steps; walk in house that is not mine; in a hall; wall on left; open room on right; party; don’t greet which is odd; walk through house; out back door; backyard; down two steps; fall in swimming pool; guests shocked. Each of these symbols has a metaphoric meaning, and the next step is to unlock that meaning. Each dreamer has his/her own unique interpretation, so the next step requires the thoughtful input of the dreamer herself. We’ll help her through that process on Wednesday. Stay tuned!